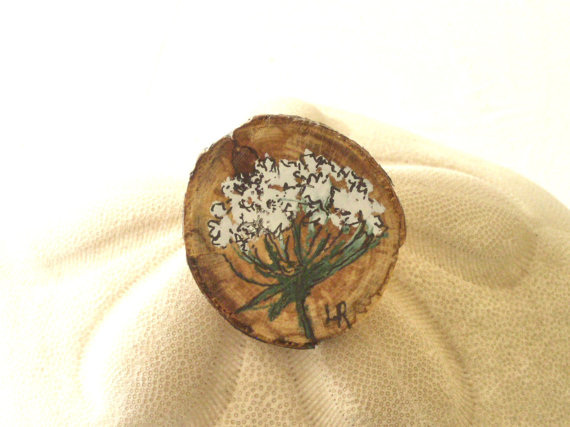 Woodland Jewelry Queen Anne Lace Pin hand painted with a delicate white botanical flower. This pin is very sweet and fun. 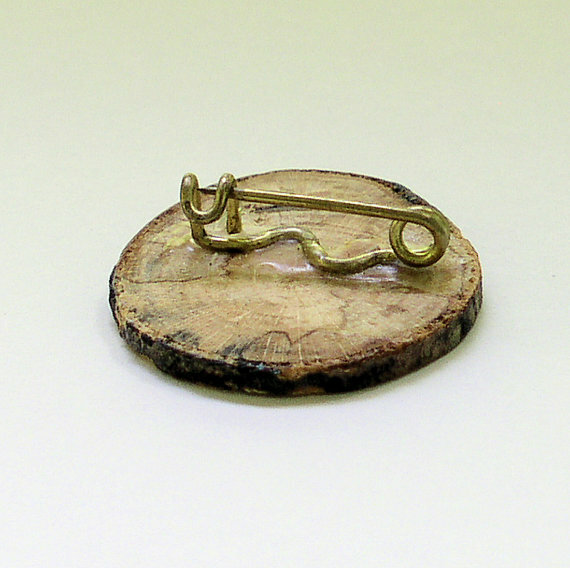 Made and crafted from natural wooden beechwood. 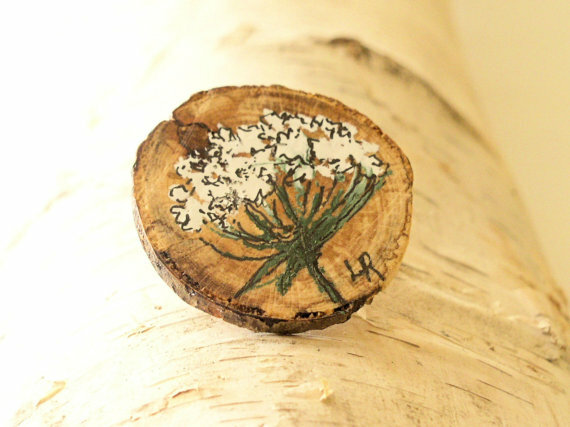 Nature woodland branches polished makes a perfect pin. I cut a slice from a Beechwood Branch and backed it with a pin mounted with epoxy glue. Several coats of varnish and wax finish it off.